Carol Merrill was born in Frederic, Wisconsin, and spent the first ten years of her life on a farm. When she was eleven, Carol and family moved to Southern California. At Citrus Union High School in Glendora, Carol was class vice president her junior year and varsity cheer leader as a senior. In 1957 Carol won a beauty pageant, becoming Miss Azusa. One of the prizes was a modeling course, which undoubtedly helped her prepare for her future career. After graduating from high school, Carol spent the next year working in an exclusive women's clothing store. The following year she enrolled at Pasadena City College. During her second year as a business major, Carol was offered her first modeling job - a two week booking for a fashion publication to be shot in Brazil .... and her career was launched! Shortly thereafter a friend, Gardner McKay (star of the "Adventures in Paradise" TV series), introduced Carol to one of L.A.'s top modeling agencies. From there her career evolved to include television commercials, movies and TV shows. Carol Merrill is most well known to television audiences for her fourteen years on the game show, Let's Make A Deal, hosted by Monty Hall. Due to her popularity on the show, she has been invited to be a guest on shows over the years such as: Good Morning America, David Letterman, Geraldo, The Phil Donahue Show, A.M. San Francisco, Entertainment Tonight, Biography, The Vicki Show, The Caryl & Marilyn Show, People are Talking, and the recent Hollywood Squares. Prior to her role on Let's Make A Deal, Carol was the model on the CBS game show Your Surprise Package hosted by George Fenneman. Throughout Carol's modeling career, she lived in Los Angeles. The majority of those years were spent on a small ranch in Malibu. She and her husband at the time, Bernie Safire, raised their daughter Hillary surrounded by a bevy of farm animals, a large organic vegetable garden and fruit orchard. Due to her interest in the natural health field, upon the close of Carol's game show career, she went to work for Dr. Ed Wagner, a highly regarded chiropractor/nutritionist in Malibu. Nutritional counseling and other health-related activities became Carol's focus. In 1985 Carol married Mark Burgess and four years later they moved to the Big Island of Hawaii. Carol spent several years working on environmental issues in Hawaii before joining her husband in his landscape/nursery business. She was recognized and honored for her environmental work when she received the Hawaii County Mayor's Award of Excellence and the First Lady's Outstanding Volunteer Award from the State of Hawaii. After selling their business in Hawaii in 2001, Carol and Mark moved to Australia to a beach side village on the east coast called Evans Head. They lived there until 2008 and while on a vacation up north turned left instead of going straight and ended up taking a ferry to an island that they never wanted to leave. And instead of staying for three days they stayed a month. Only to return home to pack everything and move back to the island that had captured their hearts. Now wanderlust has struck again - Carol and Mark are planning to relocate to Oahu, Hawaii in the fall of 2010. 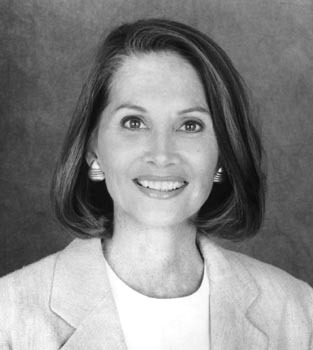 Carol's present day activities include preparing healthy organic foods, staying in shape by doing a variety of exercises including beach walks while her husband surfs, and writing. She has written health-related articles for two on-line newsletters and is currently working on a book. Carol is shown here reuniting with Monty Hall on her recent visit to California. Carol's niece, Carla Gugino, is the well-known actress of Spy Kids fame. Carla credits Carol as being the person responsible for getting her started in show business. A TV question in the Baby Boomer edition of Trivial Pursuits acknowledged the indelible impression Carol made on the viewers of the classic LET'S MAKE A DEAL. Monty once recalled that on Let's Make A Deal, "I never said 'door' without saying 'Carol Merrill.' 'Let's see what Carol Merrill has behind door No. 2.' 'What Carol Merrill has in the box.' So she and Jay Stewart, my announcer, became stars. Everywhere we went, people would say, 'How's Carol?' 'How's Jay?' 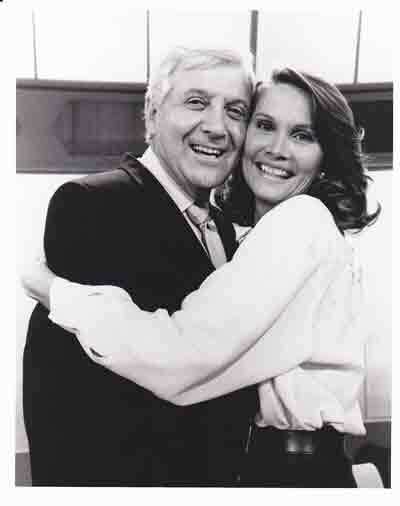 "
In January, 1999, Monty Hall told a newspaper interviewer: "Carol Merrill, the most wonderful girl. She's living in Hawaii. She goes around the islands teaching about natural foods and holistic medicine. She's very much into that. She lives on the Big Island, and she and her husband have a macadamia nut farm. So she's very happy."